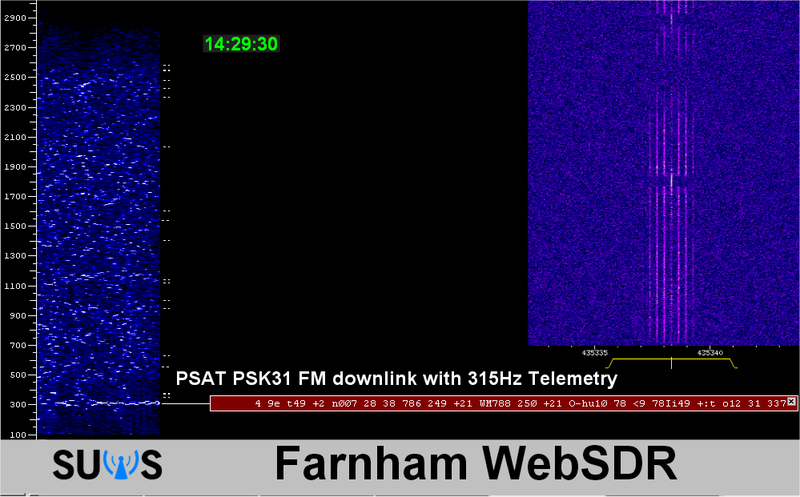 The PSAT PSK31 435.350 MHz FM downlink is full quieting with 6 bars using a decent UHF Yagi. But we have not seen any users other than those using the 28.120 PSK channel on HF normally. We welcome people to experiment with it. Everyone within the 28.120 to 28.123 MHz ten meter passband will be uplinked and heard on the 435.350 MHz downlink. The Naval Academy’s PSAT seems healthy with plenty of power (we are keeping the APRS digipeater off to allow max power for PSK31). PSAT’s radio and packet system are a simple $250 APRS tracker http://www.byonics.com/mtt4b sent to space. 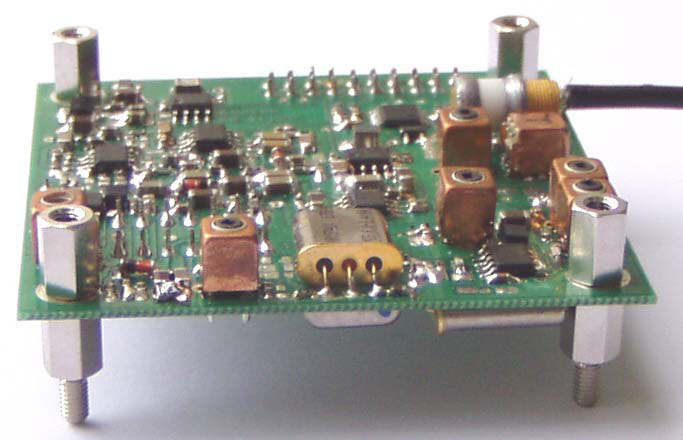 The PSK31 transponder is a single 3.4″ square circuit board made by Brno Universtiy in the Czech Republic. The CPU for controlling bulletins and timing is a simple Parallax Basic Stamp. PSAT is actually only about a 1U cubesat but in a 1.5U package since the flight was available and it gave us more power for our NON-SPACE solar cells. We are using standard silicon that are only half as efficient as multi-junction cells, but only cost 1% as much. PSAT has a single 21″ VHF and 72″ long HF whip. It has two UHF 6″ orthogonal monopoles, all of very thin Nitinol wire.